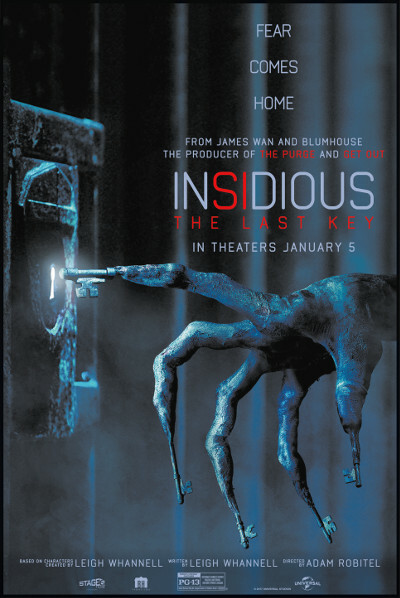 This is a 10 minute clip for Insidious: The Last Key. It was written by co-creator Leigh Whannell, directed by Adam Robitel (The Taking of Deborah Logan), and stars Lin Shaye, Josh Stewart, Leigh Whannell, Angus Sampson, Kirk Acevedo, Bruce Davison, Spencer Locke and Caitlin Gerard. It will be released on Digital March 20th and Blu-ray on April 3rd. Check out the synopsis and clip below. "In the supernatural thriller, which welcomes back franchise standout Lin Shaye as Dr. Elise Rainier, the brilliant parapsychologist faces her most fearsome and personal haunting yet: in her own family home."